for ten years handling contested collection cases, including motion practice and arbitration. Prior to that, Chris was a sole practitioner handling primarily family law matters. 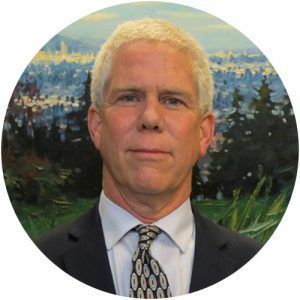 Chris is an active member of the Oregon State Bar and the Multnomah County Bar Association. He was appointed to represent children for Multnomah County’s Child Representation Project in 2004. Chris has represented clients in all aspects of family law, as well as personal injury, workers’ compensation, Social Security disability and unemployment compensation cases. He spoke about the Child Lawyer’s Role with the Child Client in the 2014 seminar Training for Lawyers Representing Minors in Multnomah County presented by the Multnomah County Children’s Representation Project, Child Centered Solutions, and PSU Student Legal Services. Chris has also served as a mediator in several cases during Multnomah County Court’s transition to electronic filing. Chris enjoys cooking and going on long drives in the country with his wife. He is an avid soccer player and bicycle rider, and loves spending time in the mountains and on the Coast. A former radio DJ, he loves music from all over the world, especially jazz, bluegrass, African and Indian music.